Manufacturer of a wide range of products which include water storage tanks, horizontal tank, plastic white water tanks, plastic water storage tanks, plastic water tanks and triple layer plastic water storage tanks. Available Color Yellow, Black, Blue, etc. 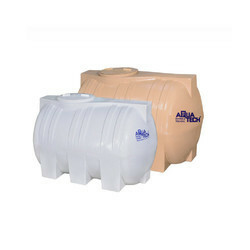 Double layered water tanks manufactured using 100% virgin, FDA approved polymer by State of the art German machines. PLC controlled biaxial technology consistently helps in ensuring the best quality of the production. Double layer tanks have black outside & White inside. 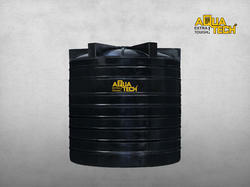 A dedicated team of engineers and designers at AQUATECH had derived the concept of horizontal tanks. The unique shape minimizes space requirements and the design has been patented. These Rotomolded beige & white color tanks are ideal for storing a wide range of liquids including inert chemicals Rotomolded using LLDPE: - Linear Low Density Polyethylene, AQUA TECH horizontal tanks accounts to the toughest one-piece tank in the market. 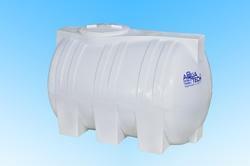 Made of high quality polyethylene, UV protected, virgin & food grade material, these tanks can also be used for indoor applications. 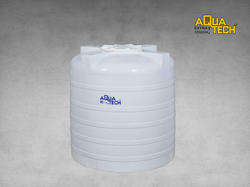 We are the leading manufacturer of 100% Food Grade Plastic White Water Tanks . We are the leading manufacturer of 100 % Food Grade Virgin Plastic Water Storage Tanks to our clients. 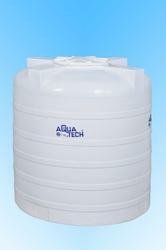 We are the leading manufacturers of 100 % Food Grade Virgin Plastic Water Tanks. We offer Triple Layer Plastic Water Storage Tanks¿¿to our clients. 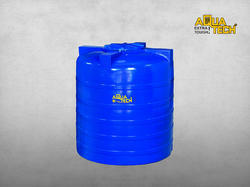 We are the leading manufacturers Aquatech Plastic Water Tanks to our clients. 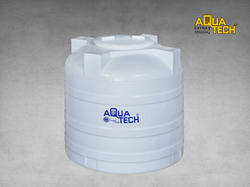 We, Aquatech is the leading manufacturers of 100 % Food Grade Plastic Water Tanks. Triple layered water tanks manufactured using 100% virgin, FDA approved polymer by State of the art German machines. PLC controlled biaxial technology consistently helps in ensuring the best quality of the production. Triple layer tanks are, black in the middle and White inside and outside. 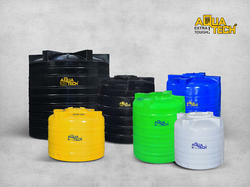 Available in Black, White, Yellow and Blue gradients with a capacity ranging from 200 -10,000 Liters. 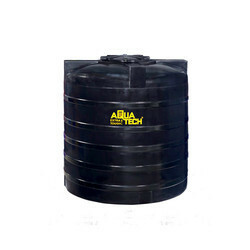 Leading manufacturers of best quality horizontal water tanks.